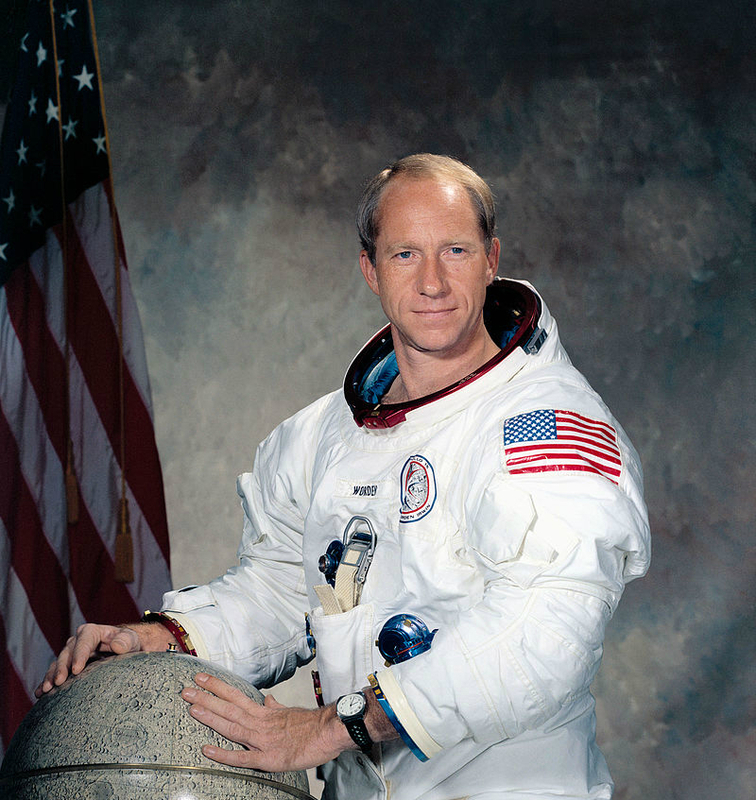 Astronaut Al Worden, one of only 24 humans to fly to the moon, will recount his experience as the Apollo 15 command module pilot during a public lecture Oct. 23 at Colorado School of Mines. Worden’s lecture is free and open to the public and will take place at 6 p.m. Oct. 23 in Bunker Auditorium at the Green Center, 924 16th St.
During the event, Worden will also present Mines student Amanda Matheson with a $10,000 scholarship from the Astronaut Scholarship Foundation. Matheson, a senior studying physics, is an undergraduate research assistant in the Engineering Physics Program. She is currently working on the fabrication of linear nanostructures on commercial-grade silicon wafers using laser interference lithography; if successful, the technology could accelerate the production of gallium arsenide (GaAs) solar cells for commercial use. Created by the Mercury 7 astronauts, the Astronaut Scholarship Foundation recognizes science and engineering students nationwide who have shown initiative, creativity and excellence in their chosen field. Mines is one of 40 schools across the country that participates in the Astronaut Scholar program.